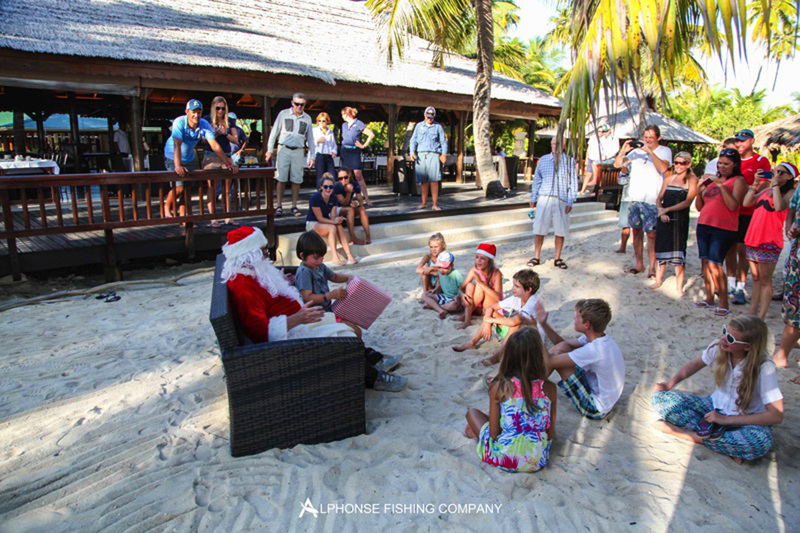 With Christmas fast approaching, another week was under way on Alphonse Island. The resort was at full occupancy this week making the bar particularly busy with everyone is feeling the Christmas spirit. 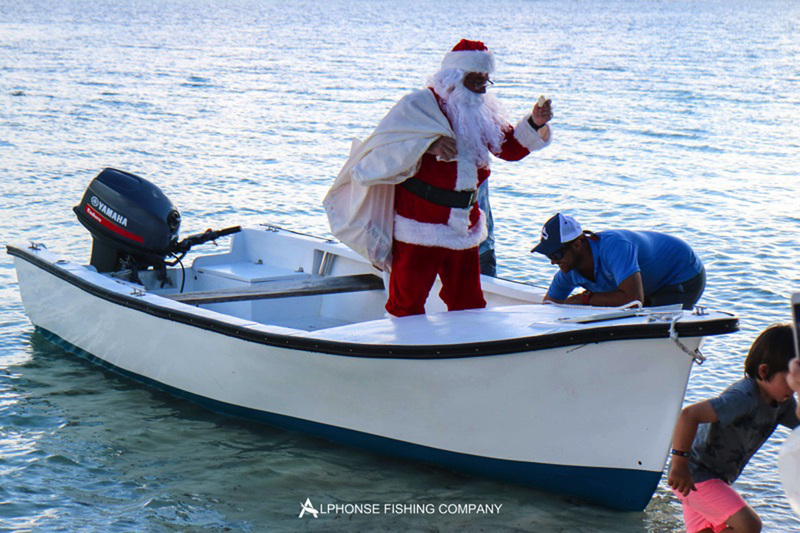 With a full complement of anglers and their families and friends everything was set for our busiest few weeks and a fantastic island Christmas. During the week many of our guest’s Christmas wishes came true. With the weather playing its part nicely a great tide cycle everything came together for an amazing week of festivities and flats fishing. David Fudurich definitely needs to be mentioned first and foremost. 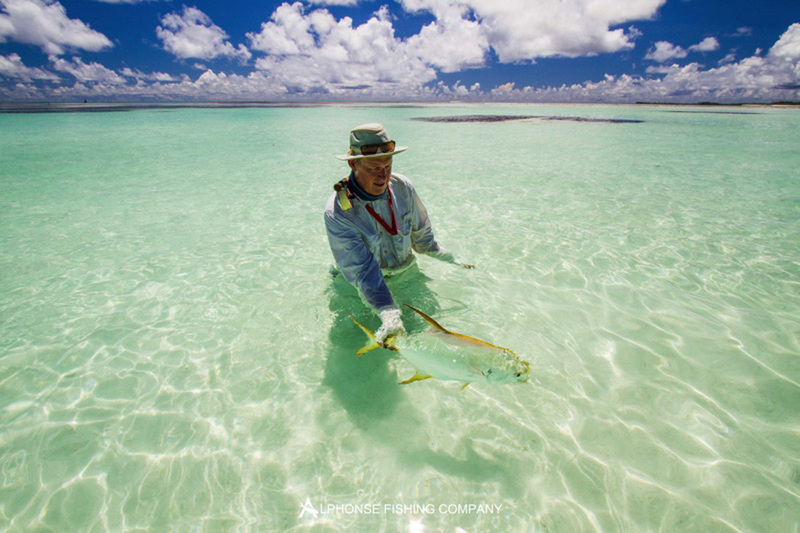 After an amazing first weeks fishing, David had his sights firmly on the rest of our species that he had not yet got his hands on. 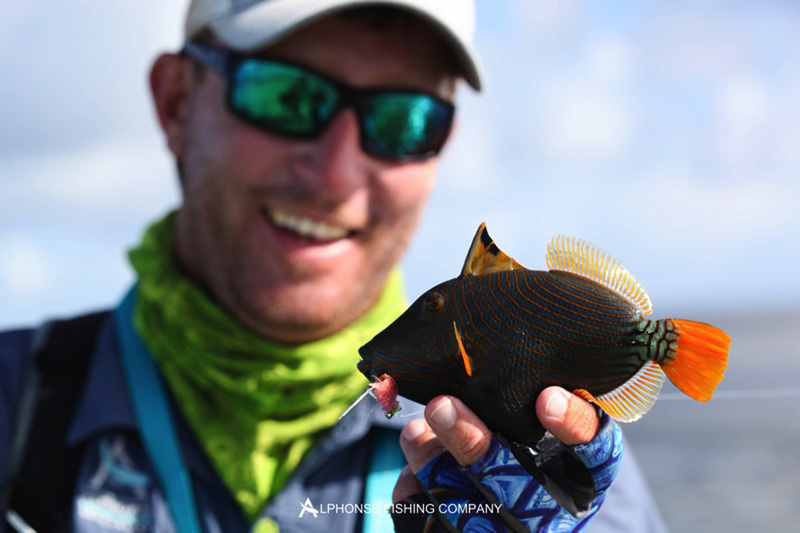 In a single day he managed to tick the Indo-Pacific Permit box and join the triggerfish club with an incredible yellowmargin triggerfish. 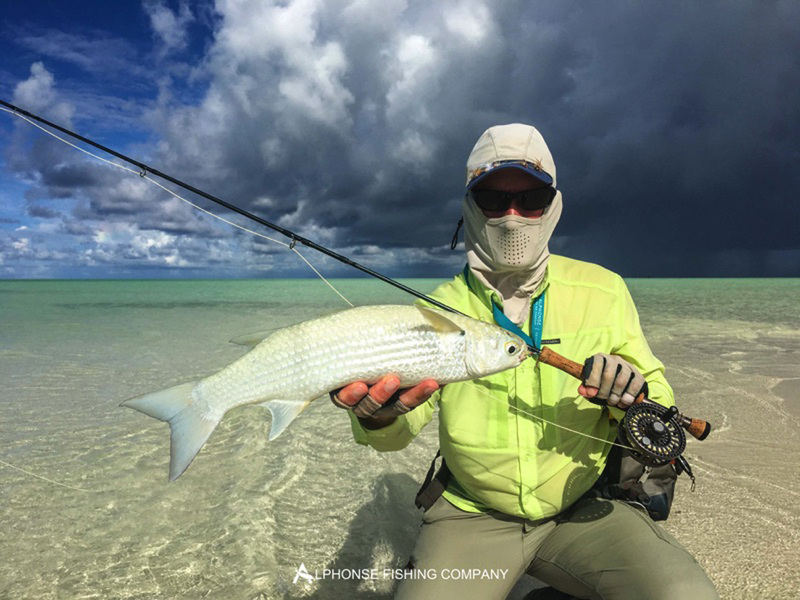 That was not enough for him, he continued the run and landed a gorgeous milkfish on the flats, followed by a fin perfect GT. A tip of the hat to you sir from the Alphonse team, an incredible achievement. 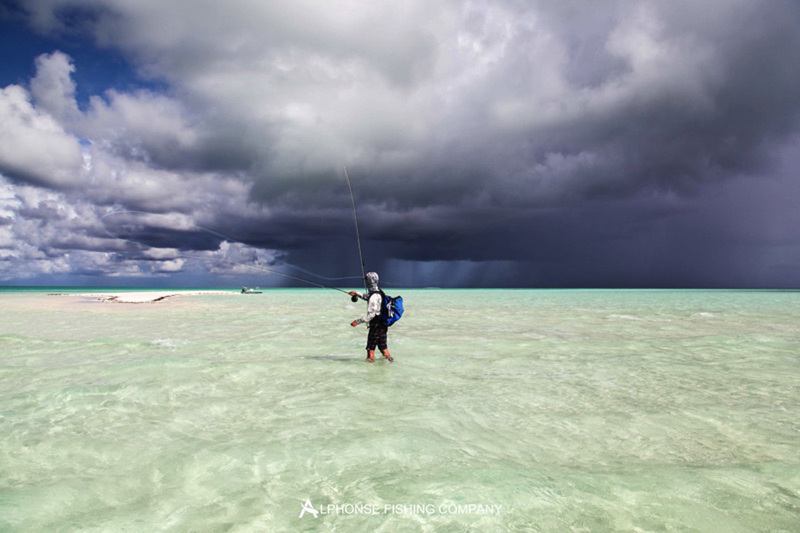 Another special mention goes to Marcus Beale for landing his first triggerfish on a 1wt, a gorgeous coke can sized yellowmargin. 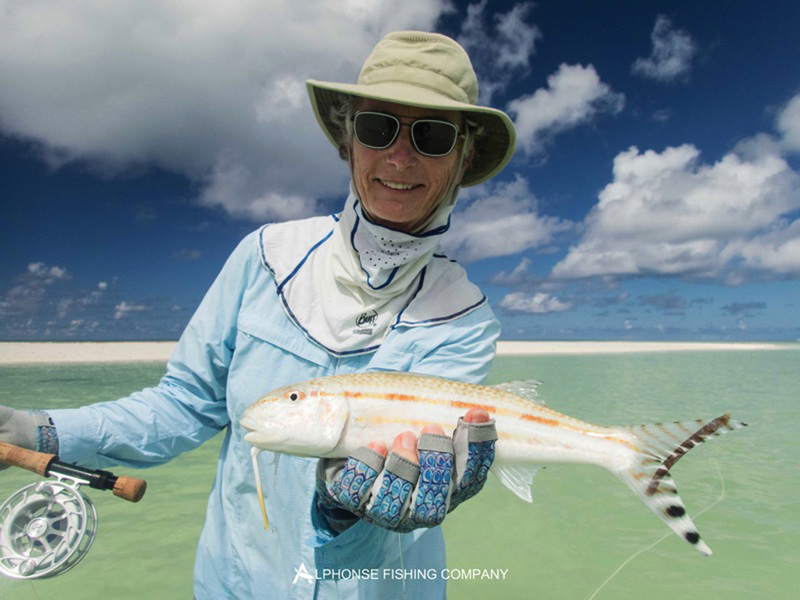 The triggerfish were happy this week as Jan Hardecky picked up a yellowmargin and Moustache, Terry Donovan claimed a Moustache, David hall got a yellowmargin and Grant bagged two beautiful moustache triggers in one session. 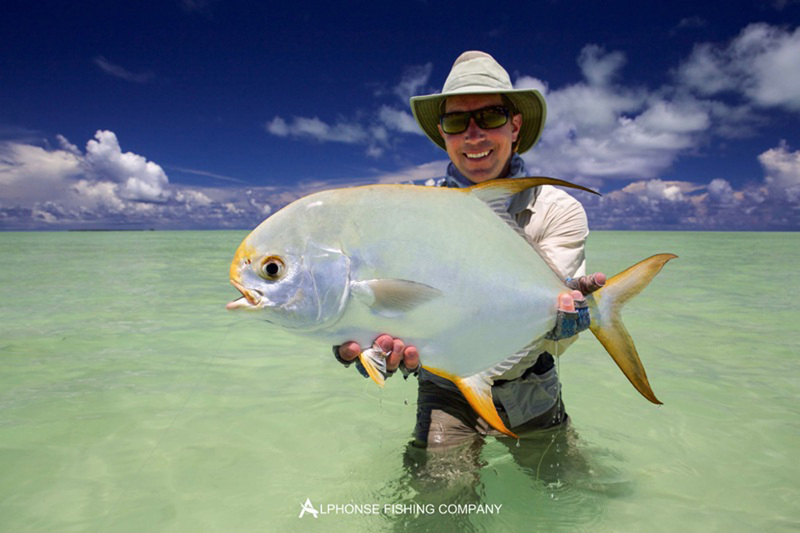 Some anglers leave everything for the last day, Stuart Bird, a seasoned flats angler has been trying his hand at the tricky triggers and stubborn permit for a long time with no avail. 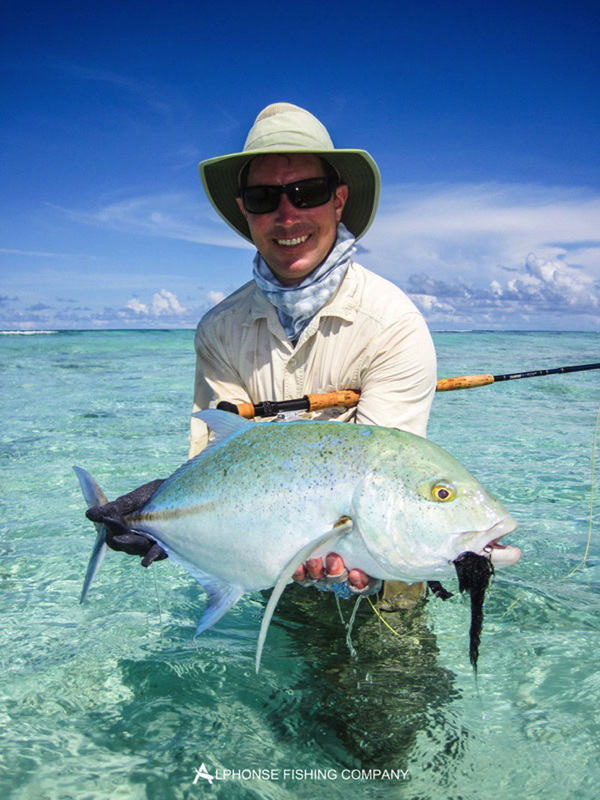 Finally on the second to last day he managed a beautiful Indo-Pacific permit and then on the last day he finally closed his triggerfish account with a beautiful moustache trigger. 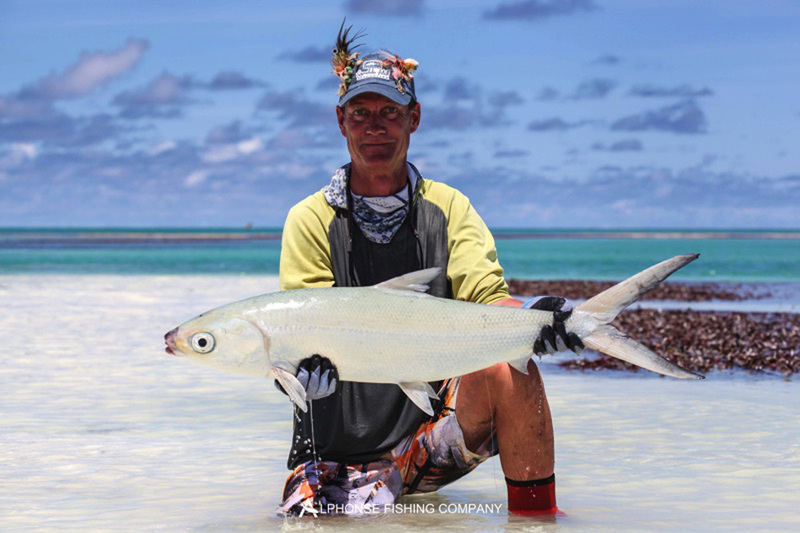 David Hall capped off a memorable week with a big milkfish landed on the flats after being meticulously unstitched from the coral. The fantastic fishing shared with a great group of people meant the night time festivities were just as good as the fishing. 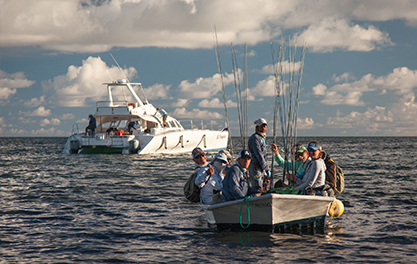 Some great stories retold around good food and wine is what a fly-fishing Christmas is all about. 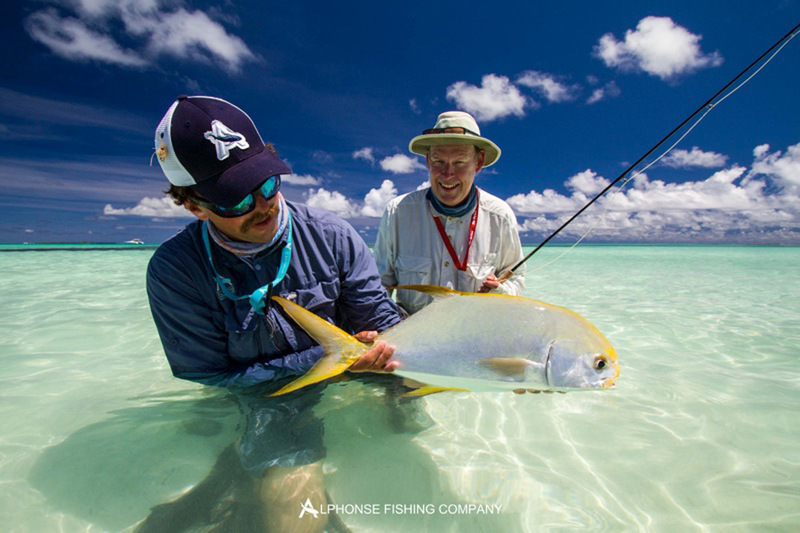 Tight lines and a Merry Christmas from all the Alphonse Island team.